Using state-of-the-art facilities in Svenborg, Denmark, and Houston, Texas, BP is using Virtual Reality to ensure that staff and contractors can learn how to work in the specific conditions of a drilling operation. The VR simulation features the same rocks, temperatures and pressures and even the same physical impact of the ocean currents to ensure that it truly replicates critical jobs on the rig. According to BP, this training in the virtual world is helping BP to drill more safely and efficiently in the real world. The hands-on, scenario-based approach goes well beyond traditional classroom training and allows drilling teams to practice events and joint procedures together as an integrated unit. BP’s use of the technology in this way seems to point to the tangible possibilities of VR in employee training, but the capital costs are not cheap. BP has invested significantly in its training infrastructure across the world to make this VR collaboration possible and it is not alone. Working on an offshore oil rig can be an intense and at times potentially dangerous endeavour, which is why Total, like BP, has turned to VR for training and is using Siemens’ 3D software in order to help train its staff before embarking overseas. The French oil and gas giant has been using Immersive Training Simulator (ITS), based on the Comos Walkinside software solution from Siemens, in order to increase overall safety and maximise raw material production. The technology sends trainees through an immersive 3D Virtual Reality replica of their working environments, enabling them to visualise tasks at hand and prepare for a number of emergency scenarios. More and more companies across a wealth of sectors are looking to VR for their training needs. Could Latin America be a serious VR contender? We examine Latin America’s bid to excel in the Virtual Reality space. 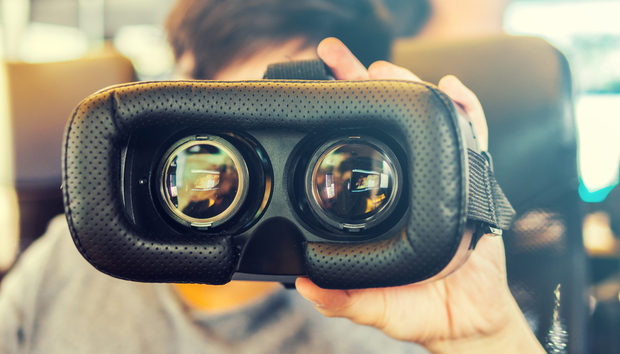 Simon Wright, technology executive in charge of VR/AR for Genesys, believes that VR is a perfect fit for training. Genesys has been using the technology in its contact centre agent training and reaping good results. “The focus in agent training is, can we simulate ‘real-life’ customer engagements and experiences in the contact centre for agents so that when they speak to a customer they have almost been there themselves?” he says.